PolyOne Corporation (NYSE: POL) today announced it has acquired certain technologies and assets from Kraton Performance Polymers, Inc. (NYSE: KRA). The two companies also entered into a supply agreement, whereby Kraton will provide PolyOne certain raw materials used in production for the acquired business. The end markets utilizing the acquired technologies span new and fast growing applications in adhesive and removable protective films, as well as existing applications served by PolyOne, such as packaging, medical devices and personal care products. The purchase price of $72 million represents a multiple of 9x EBITDA. "Since our highly successful TPE acquisition of GLS in 2008, we've continually invested in, globalized and grown in TPE innovation and its broad value-added uses," said Robert M. Patterson, president and chief executive officer, PolyOne Corporation. "We are very pleased to have made this investment for our customers and their product design, development and performance goals." 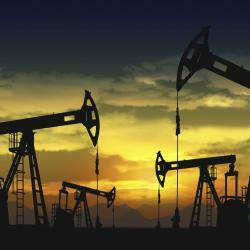 How Healthy Would Financial Markets Be Without Oil?